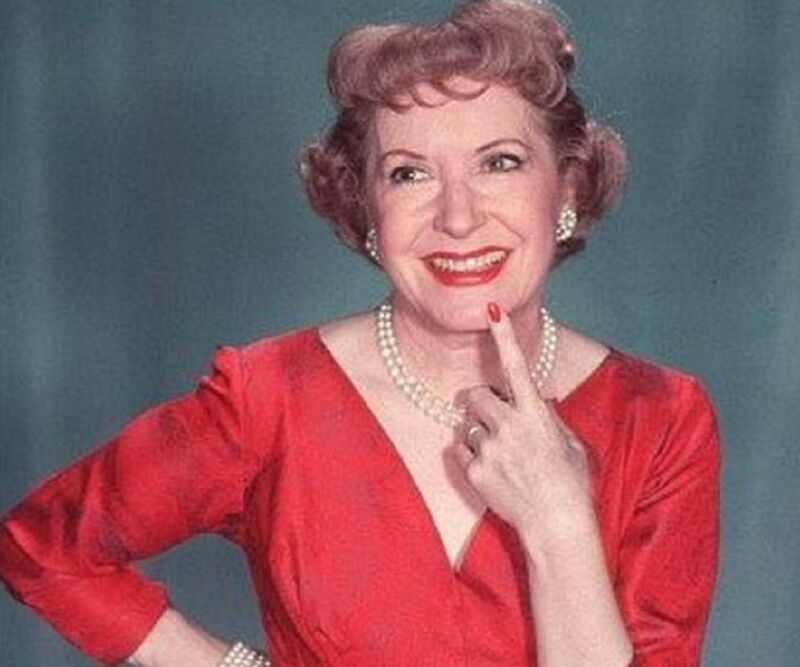 Gracie Allen was an American comedian and actress. This biography profiles her childhood, family, personal life, career, achievements etc. Gracie Allen was an American comedian and actress. She was best known for her contribution to weekly radio program called ‘Burns and Allen’, which she aired along with her husband, George Burns. Allen was the most loved comedian of the 30s. Her epic chemistry with George led the duo to assemble numerous comedy shows, where Allen played the comic foil of her husband. The duo had also starred in a number of movies. Some of them were ‘The Big Broadcast’, ‘Six of a Kind’, ‘College Holiday’, ‘A Damsel in Distress’, ‘A Foggy Day’ etc. Gracie finally retired from the show business in 1958, after getting tired of playing the same character for so many years. She died in 1964, after suffering from a heart attack in Los Angeles, California. She was inducted into ‘Hollywood Walk of Fame’ at the South side of 6600 block of Hollywood Boulevard. She was also inducted into ‘Television Hall of Fame’ with George Burns in 1988. Grace Ethel Cecile Rosalie Allen was born on July 26, 1895 or 1986 or 1902 or 1906. This confusion regarding her birth is due to the fact that her birth certificate kept with City and County of San Francisco was destroyed in a 1906 earthquake. 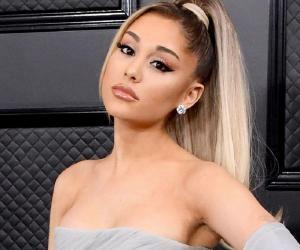 She was born in San Francisco, California, to George Allen and Margaret Theresa Allen. Her father was also an entertainer. Gracie showed signs of an entertainer from an early age, and made her stage debut during one of her father’s shows. She was only three when she gave her first radio performance. 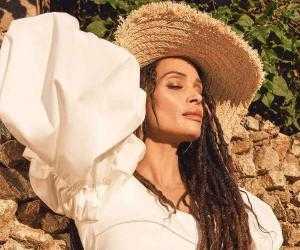 She attended ‘Sea Convent High School’, but dropped out at the age of 14, to join her three sisters in performing on stage. They were called ‘The Four Colleens’, and performed Irish Folk dance, until she was signed by ‘Larry Reilly Company’. She quit the company over some monetary dispute, and decided to join a secretariat school. In 1922, she met George Burns at the backstage of ‘The Union Theatre at the Union Hill’ in New Jersey. She had heard that George and his then comedy partner, William Lorraine, were headed for a split. She went to talk to one of them, and mistook Burns for Lorraine. Burns told her about her mistake after a while, but Gracie didn’t care and they both decided to do their first comedy stint together. The duo made their comedy debut at the ‘The Hill Street’ theatre at Newark in New Jersey. Looking at Gracie’s energy and comic timing, Burns wrote their act in a way that gave Gracie all the witty punches, while he was her straight man. In 1926, Burns curated a routine called ‘Lamb Chops’, which became a hit amongst the audience. Later, ‘Keith Theatre’ signed them both for five long yeas, where they became the top comedians in vaudeville. It was also the time when the two got married, but didn’t stop promoting their acts and doing shows in European countries. The couple made their radio debut in 1930s on ‘BBC’ network and slowly became one of the most popular comedians of the era. Some of their radio shows were ‘The Robert Buns Panatella Show’(1932-33), ‘The Adventures of Gracie’ (1935-37), ‘The Swan Soap Show’ (1941-45), ‘Maxwell House Coffee Time’ (1945-49) etc. Allen was invited by Eddie Cantor to his own radio show, which she appeared in later, and thrilled the listeners. In 1932, she and Burns joined Guy Lombardo’s musical variety show, and ended up having their own contract with ‘CBS’ for a show called ‘The Burns and Allen Comedy Show’. Their own radio show became a major hit, with approximately 45 million people listening to their show each week. It became one of the top three shows in the USA that time. In 1933, one of their best domestic humour stunts took place, when Gracie announced about her ‘Lost Brother’. Her real brother, George, was asked to leave his accountant job, and hide in seclusion for a few days to pull of the gag well. However, after a few days, he asked them to stop the gag. In 1937, they moved to ‘NBC’ from ‘CBC’, and continued their domestic humour on their show. In 1949, their popular radio show turned into a television show on ‘CBS’. They continued playing their routine characters, along with Gracie’s punch lines and dancing and singing, until the show ended in 1958. The reason for show’s termination was Gracie’s plan to retire, as she was tired of playing the same role for a long period of time. The show was ended in their class act style of vaudeville, and some old routines. The show was renamed as ‘The Burns Show’, and the location changed from Burns’ home to Mr. Burns’ office. However, Gracie’s absence was clearly felt, and the show barely lasted for a season. In 1929, Gracie debuted in a short film called, ‘Lambchops’, along with Burns. In 1932, they appeared in their first feature film called, ‘The Big Broadcast’, which was very well-received by the audience. Her other hit movies are ‘College Humour’ (1993), ‘International House’ (1993), ‘Many Happy Returns’ (1934) where Grace had her first leading role, ‘We’re Not Dressing’ (1934), ‘Love in Bloom’ (1935), ‘College Holiday’ (1936), ‘Damsel in Distress’ (19370 which was a musical, ‘College Swing’ (1938) etc. 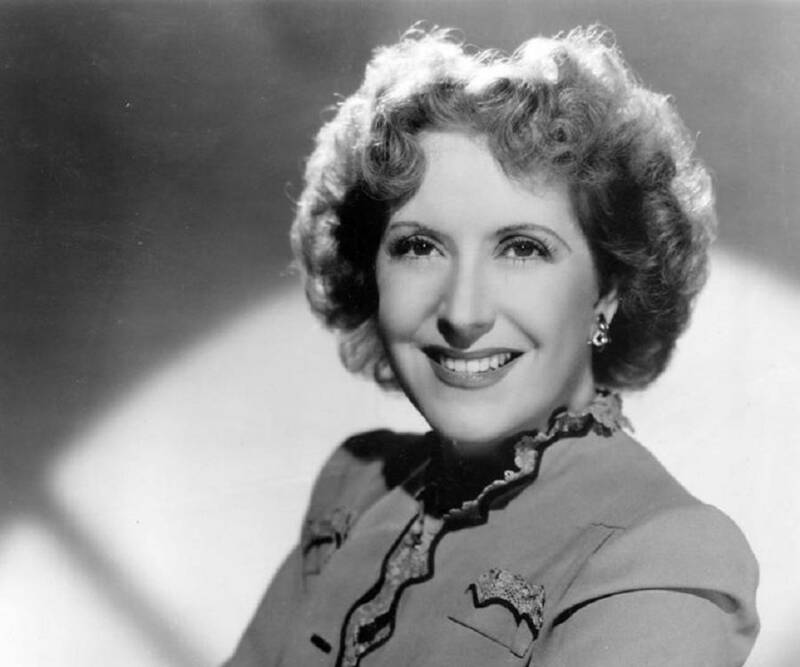 Few of her last movies were ‘The Gracie Allen’s Murder Case’ (1939) where she appeared without her husband, ‘Mr. And Mrs. North’ (1941) where she again appeared without Burns. Her last movie was ‘Two Girls and a Sailor’ that came in 1944. In 1940, Gracie announced she was running for the President of the United States on Surprise Party ticket, and toured all over the US to perform gigs. She even published a book, ‘Gracie Allen for President’, which comprised photos of her tour. The ‘Gracie Award’ is named after her, and given to women by women in radio, television, cable, and web-based media. She was honoured by James L. Brooks who named ‘Gracie Films’ after her. 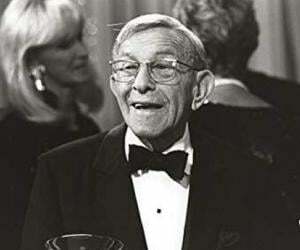 Gracie married her partner and husband, George Burns, three years later after they started performing together. They got married on January 7, 1926 in Cleveland, Ohio. They found out later that they couldn’t have kids, so they adopted two children - Sandra Jean and Ronald Jon. Ronald became a regular cast at ‘The George Burns and Gracie Allen Comedy Show’, while Sandra made occasional appearance, before she decided to become a teacher. Gracie was said to be sensitive, and suffered from heterochromia (she had one green eye and one blue eye). She also had a deep fear of drowning, which she overcame by taking swimming lessons. On August 27, 1964, Gracie died of a heart attack in Los Angeles, USA. She was suffering with a heart disease for a long time. She was interred at the ‘Freedom Mausoleum’ at ‘Forest Lawn Memorial Park, Glendale, California’. Her husband died 32 years later after Gracie, at the age of 100, and was interred beside her wife, with the crypt saying, ‘Gracie Allen (1902–1964) and George Burns (1896–1996) - Together Again’.